Registered with Health Canada as a medical device, Warmy is great for heating (for chills, tummy aches or inflammation) or for cooling (for swelling, bumps or bruises) to provide much-needed comfort and pain relief. Find him seated in his cozy chair! Just in time for the bumps and bruises of back-to-school, and the cold and flu season! Warmy offers huggable therapy kids love! 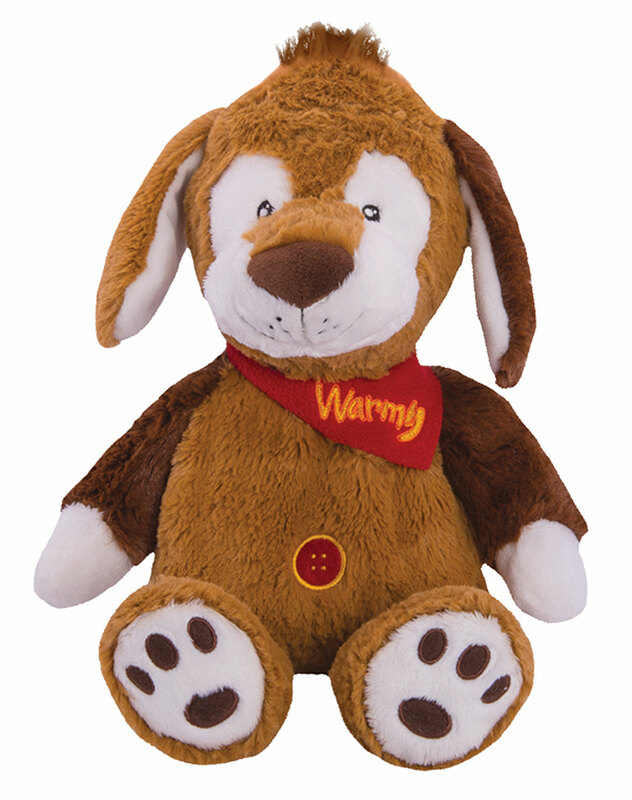 The Warmy compress is a source of comfort for children aged 3 and over. Registered with Health Canada as a medical device, it provides warmth to safely alleviate stomach aches, calm shivers and help relieve pain and reduce inflammation. Applied cold, it soothes minor injuries and helps relieve pain and reduce swelling. Help us make children’s wishes come true. A percentage of the profits for every Warmy product sold will be donated to the Make-A-Wish Foundation, which helps sick children.